Chris Hemsworth (born in Melbourne, Australia) is a famous Actor from Australia, he is 35 years old and still alive, born August 11, 1983. Chris Hemsworth is an Australian actor, best known for the role of Thor in the movie of the same name, but has also played in several other movies / series, including the movie Star Trek from 2009 and soap Home and Away. Chris Hemsworth played "Kim Hyde" from 2004 to 2007 in the soap Home and Away. He originally auditioned for another role (which he consequently did not), but impressed the producers so much that he was called back to do another audition for the role of Kim. This was his breakthrough as an actor. He has since starred in several American films. He had a minor role in A Perfect Getaway (2009) (in which he starred with Steve Zahn and Milla Jovovich). He had also in the blockbuster movie Star Trek. He had a starring role in the thriller Ca $ h (2010), among others, the Lord of the Rings star Sean Bean. The big break in Hollywood, however, in the movie Thor (2011), where he played the title role. The film, which was directed by Kenneth Branagh, had a budget of $ 150 million and recorded three times in the world. Hemsworth was praised for his macho interpretation of the role. Others who participated in the film are actors like Natalie Portman, Anthony Hopkins, Tom Hiddleston and Stellan Skarsgard. 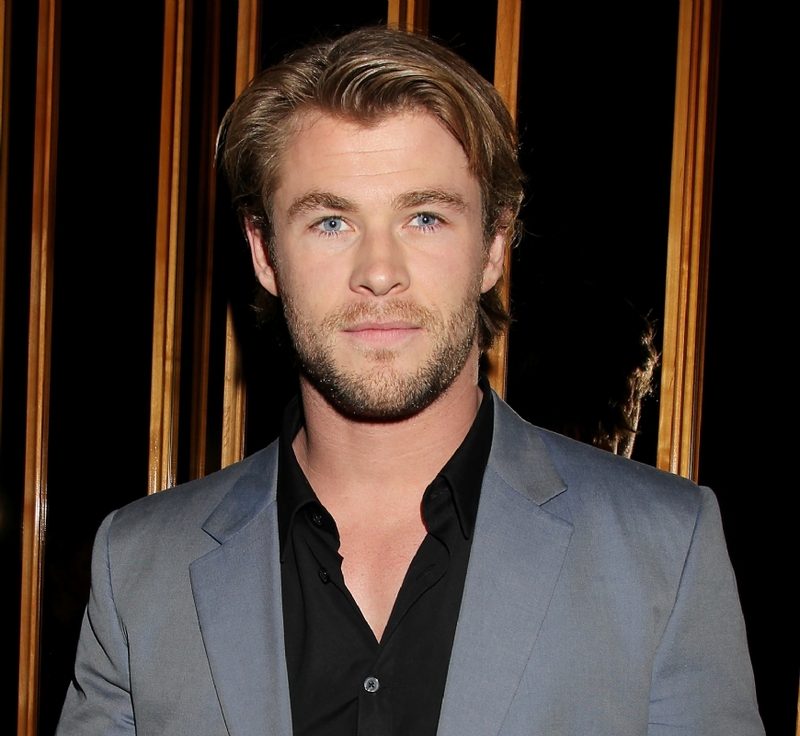 Hemsworth also have roles in the action film Red Dawn (a remake of the movie from 1984) and the horror film The Cabin in the Woods, both of lensgt is recorded, and after long waiting has finally gotten a theatrical release in the United States, largely due Hemsworths success with Thor. Both films are in U.S. cinemas in 2012. It has not yet announced whether they also appear in cinemas in Norway. 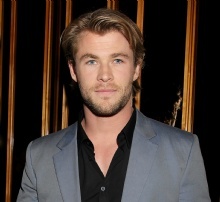 The Australian actor also has a starring role in the upcoming The Avengers, where he repeats the role of Thor. He rats out of the movie along with other super heroes like Iron Man (Robert Downey Jr.)., Captain America (Chris Evans) and Hulk (Mark Ruffalo) to stop the super-villain Loki (Tom Hiddleston). Following the success of Thor was also clear that he will play in hunter Snow White version Snow White and the Huntsman, along with, among others, Kristen Stewart and Charlize Theron. This film comes in the summer of 2012. It should also be a sequel to Thor in 2013, where Hemsworth repeat the title role. In addition, he has several blockbusters on the poster for the next few years. He has been one of the main roles in Rush, which is based on the rivalry between the Formula 1 drivers Niki Lauda and James Hunt in the 70's. Lauda crashed and almost lost his life in 1976, but he came back behind the wheel to challenge rival Hunt for the World Championship title just weeks later. Hemsworth will play Hunt in the movie coming in 2013. In 2014 he will play in the action film Shadow Runner. He is born under the zodiac leo, who is known for Ruling, Warmth, Generosity, Faithful, Initiative. Our collection contains 11 quotes who is written / told by Chris. "As a kid, you run around the house pretending to be a superhero, and now to be doing it as a job, I feel very lucky"
"I put the costume on and said 'It's not very comfortable, but it looks amazing,' so it's all good"
"At home in Victoria, we have three dogs, Tosh and Lucy, they're half Blue Heelers, and then there's Torrin a little Maltese terrier. She gets more attention in the house than anyone else! Yes, I miss them a lot"
"You get the part, sign the contract and start to realize millions of people follow this guy and know more about your character than you do"
"Not often do you approach a character where people know more about him than you do"
"Well, I'll keep on auditioning and one day maybe I'll go to LA and try out for films there"
"I have sporadic OCD cleaning moments around the house. But then I get lazy and I'm cured. It's a very inconsistent personality trait"
"You have the massive world that was created by Marvel, and then you have these very intimate actors around you. There was as much character work on this as there would be on a little independent film. So, I felt very fortunate in that sense"
"I have seen 'Thor', yeah. It's fantastic. Being that close to something, it's often pretty hard to watch yourself, but the film in so many ways is so impressive that I was swept along with it like an audience member, and that's a pretty good sign"
"I entered the work force cleaning breast pumps at a pharmacy! It was a part-time gig while I was at school... no interview required"
"I actually find it harder to act in the scenes where there's not much happening, say having a milkshake in the diner. That is far harder to do than straight scenes where there's a drama going on and you have something to do"